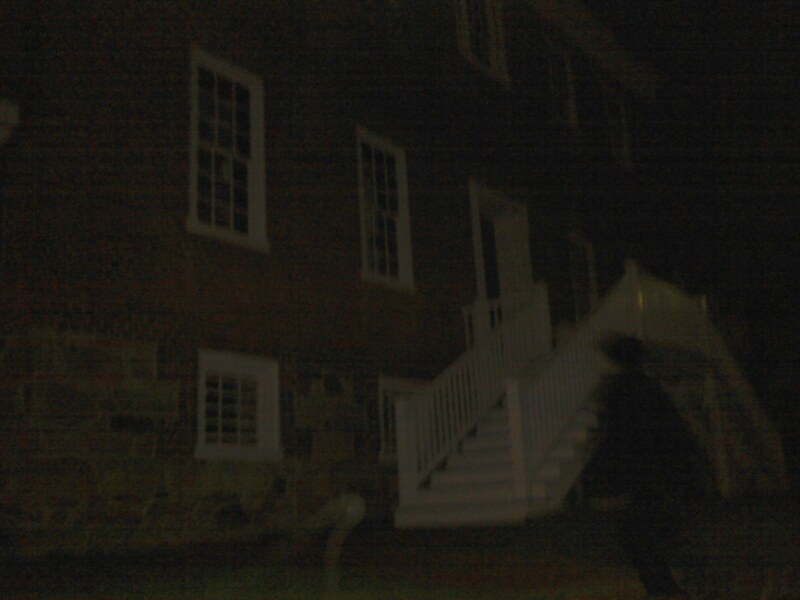 At this preserved historic museum site, an apparition of a man has been seen wearing colonial clothing and peering out the upper windows. Some believe he is William Paca himself, a former Maryland governor and signer of the Declaration of Independence. I’m local and used to have to walk past the Paca House to get to work at 4 or 5am. Occasionally I would walk by and get a strong feeling of being watched- the shivery, prickly feeling down the back of your neck. Got to the point where I would usually run down this block and didn’t want to look at the house. Not sure if the energy was negative but I didn’t want to find out! I certainly captured a bit of an anomaly in a picture I took of this house. It looks like like a ghost to me… but I’m no expert. What I certainly CAN say about it there was NO ONE in front of me when I snapped this photo, yet interestingly, as I was pressing the shutter button, I saw something in my peripheral vision streak past me on the right. Thinking someone literally stepped right in front of me while I was quite obviously taking a picture, I was about to something rude… only to find absolutely NO ONE standing there! When I looked at the photo and lightened up some–well–look for yourself! To me the black shadow look like he is wearing one of a British Revolutionary Era military military coat an hat. There’s also a weird white caned-shape wisp or somthing at the bottom of the photo. I have no idea what that could be, at all.